BioWare delivered on its promise to host an Anthem livestream dedicated to Javelin customization. 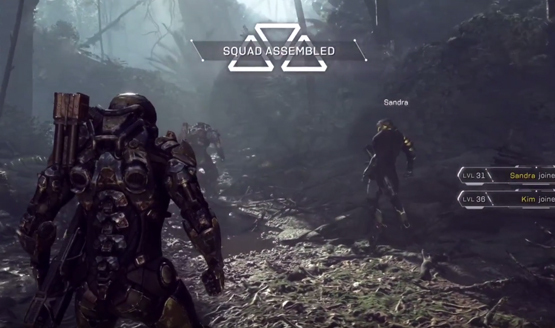 Lead producer Ben Irving hosted the stream, with help from Character Director Francis Lacuna and Associate Producer Leah Shinkewski, and showed the eight major places in which someone can customize the Javelin suit. The presentation also went over outer core, aka silhouette, upgrades, paint, and emotes. This stream focused on customizing the Ranger Javelin suit. Each exosuit, regardless of class, features eight “interaction points.” As described by Shinkewski, these points act as “jumping points into all the places where you can customize your exo.” Interestingly, interaction points include the Javelin suit’s helmet, arms, paint, chest, wear state, vinyls, legs, and animations. The elements responsible for altering the suit’s silhouette are the chest, helmet, arms, and legs. Meanwhile, customizing the suit’s appearance involve paint, vinyls, and wear state. Emote customization takes place in the animations section. During the stream, the paint section was shown off first. It features six “regions” total—Primary Hard, Secondary Hard, Tertiary Hard, Primary Soft, Secondary Soft, and Tertiary Soft. Each region has myriad options, none of which relate exclusively to color. Instead, these regions are devoted to materials, which then receive reflection in terms of the Javelin’s textured appearance. Needless to say, it’s all impressive. If you want the helmet alone to have a canvas pattern, that option is available. Want a two-tone pattern that you can later customize with colors of your choosing? BioWare made that an option, as well. As a disclaimer, Irving explained that not everything shown on stream will be available from the start. Some cosmetic options require players to unlock them, a facet of the Anthem experience that BioWare is not yet ready to discuss. Still, the customization seems an incredibly intricate ordeal. Anthem will arrive early next year for the PlayStation 4, PC, and Xbox One on February 22, 2019.